The first day of spring is just around the corner, on March 20, so it's an ideal time to start planning how you'll celebrate the launch of the season. One way is to gift the special lady in your life a bouquet with spring's freshest blooms. Pastel hues are a classic choice for spring. They are beautiful yet understated, allowing you to gift your wife or girlfriend the perfect bouquet. Pick up an arrangement of yellow carnations, asiatic lilies, lavender cushion spray chrysanthemums and pink roses. To make the flowers stand out even more they are surrounded by a wealth of greenery and placed inside a lavender vase. If she loves pink, you can present her with an arrangement filled with pink roses and carnations, offset by white button spray chrysanthemums. The delicate flowers are then placed in a pink vase to complete the look. Sometimes a sea of flowers in one hue can be a fitting way to welcome someone to spring. For example, sunny yellow tulips are bright and cheery and will surely bring a smile to the recipient's face. Tie a small bow on the vase and you will have the perfect start-of-the-season gift. For a rustic approach, gift your loved one a bouquet that looks like a newly bloomed spring prairie. 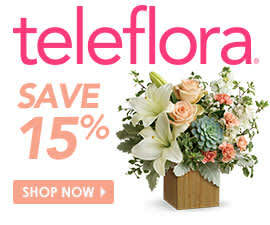 Select an arrangement with a mix of flowers of different shapes, sizes and colors. A country basket filled with mini carnations, matsumoto asters and snap dragons is a gorgeous spring collection. The addition of purple butterflies makes it even more seasonally appropriate. The color forecaster Pantone has named Radiant Orchid as the top hue for 2014. It's a vibrant purple with fuchsia and pink undertones. Let the color of the moment inspire you to build a springtime arrangement. You can house your bouquet in a purple vase with matching blooms, or you can select a country basket with violets and butterflies. However, passionate purple tulips can also convey your sentiment while being the perfect spring gift. You can also give a loved one an indoor plant that will last long into the spring season. An amazing arboricola is a robust botanical while the medium dish garden plant would also look great sitting on her tabletop.